The Fan Favorite from last week is this adorable dresser redo featuring burlap shelves from Liz Marie. So beachy and fun! And now for my Frugal Round-up! Salvage Savvy shared a fabulous round-up of ideas to make with hollow-core doors. Lots of great uses for those things! 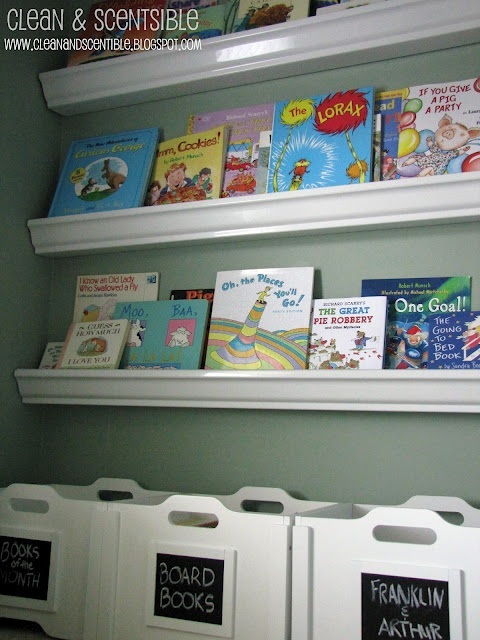 I loved these rain gutter bookshelves shared by Clean & Scentsible. Such a frugal and cute idea! 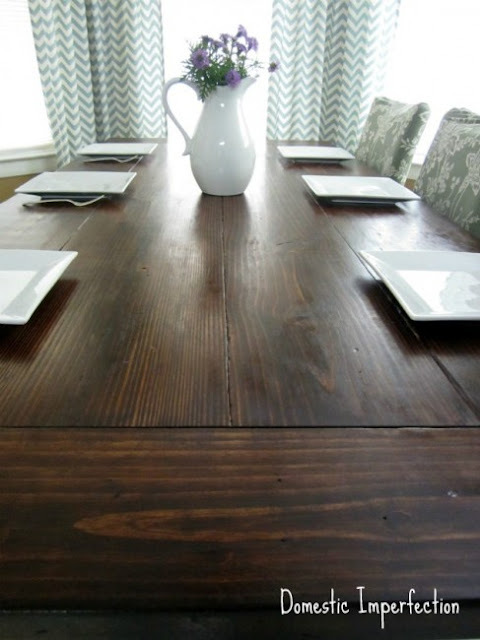 And finally, Domestic Imperfection shared her DIY farmhouse table. Love. Wendy Thank you for the party and the features. 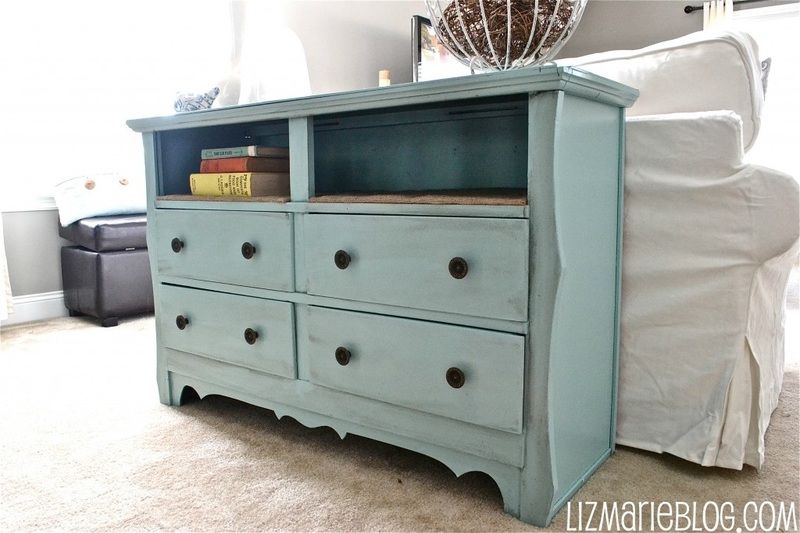 That dresser redo of Liz Marie's is wonderful! I love how some of the drawers were taken out- such a great idea! Thanks so much for featuring my bookshelves - the rest of the reading nook is now completed! That farmhouse table is just AMAZING. Unfortunately, I could never get my husband on board to help me with a project like that. lol! Great party, thanks for having me. Great features... I really like the book shelves :) Thanks for hosting! Beautiful features this week! Thank you so much for hosting! I hope you have a wonderful weekend! Thanks for the great party! Love the features! Thanks so much for hosting and I hope you have a great weekend! Thanks so much for hosting! Those rain gutter shelves are kind of brilliant! Lots of wonderful projects! Thanks for hosting this party! Thank you so much for hosting once again. I hope you have a great weekend. Thanks for hosting again this week. I love looking through all the links. Have a great weekend. Thanks for hosting!Hope you have a great weekend.